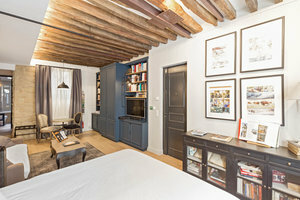 This beautiful loft space is located in the fashionable area of Le Marais near Square du Temple. It is a wonderful opportunity to host a Private Sale or Fashion Showroom. With a classic frontage with large window displays this space is filled with natural light. The interiors here are modern yet rustic with beautiful old-fashioned ceiling beams, wooden flooring and recessed cove lighting. With a vast array of facilities including furniture, a television, internet and a kitchen, this space can accommodate a variety of pop-up events. 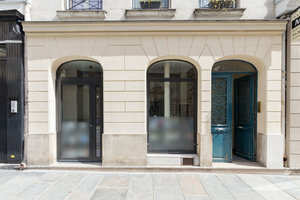 Situated in a prime location on a calm road near Le Carreau Du Temple, this venue is a great opportunity for those searching for pristine space in a popular location.